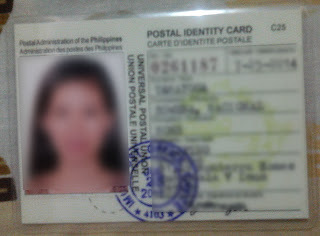 I finally got my very first Postal ID :) I once attempted to get this ID last 2007 but when I saw the requirements, I backed out! Good thing for now I have all the papers needed. When I got home, I requested for new NSO Birth and Married certificate from E-Census (www.ecensus.com.ph). This is where you can apply for Birth and other Civil Registry Documents online. I have to get new NSO copies of those documents for my later record updates especially in Philhealth and SSS. After confirming my request, I went to BDO to pay for the amount P630.00 (P315.00 for each document). Ill just wait for 5 working days for them to deliver my request.